Statistically speaking, except for winning the PowerBall lottery, there are few things less likely to ever happen to someone than getting hit by a meteorite. Yet one man’s Christmas was absolutely ruined in 1965 and his car completely destroyed when a meteorite struck and pierced the hood of his brand new Vauxhall Viva in Leicestershire, England. It was far from a “Merry Christmas” when the small chunk of rock from outer space dropped in for the holidays, uninvited. According to The Daily Mirror, someone is struck or killed directly by an asteroid or another body from outer space only once every 7,000 years. And on November 30, 1954, Ann Hodges from Talladega County, Alabama, was unlucky enough to be that someone. The space rock didn’t kill her. She survived and became an unwitting celebrity for a while. But it didn’t bring her any luck whatsoever. On the contrary, it led to a bitter legal battle, eventually contributing to the breakdown of both her marriage and her mental health. She died all alone in a nursing home two decades after the incident. The story goes that the 32-year-old was taking her afternoon nap when she got a real wake-up call, surprised by a nine-pound piece of black rock that dropped from the sky onto the small town of Oak Grove near Sylacauga; it crashed through the ceiling, bounced off the radio right next to her, and smashed her left hip. The poor woman was left with a ghastly looking football-sized bruise and total confusion as to what had just happened. Her mother, Ida Franklyn, was also in the house at the time. They wondered if maybe a plane had exploded mid-air. What else could it be? It wasn’t a bomb for sure. The initial fears of both of them, their neighbors, and the authorities was of a possible Soviet attack–it was the Cold War era after all. Neighbors who had witnessed the fast descending fireball followed its trail to the Hodges’ home, to offer help and satisfy their curiosity. Her husband, Eugene, arrived home from work to find the front yard full of gawkers peeking through the windows. He was looking at his house with a huge hole in it and, inside, his wife and his mother-in-law were scared and confused. He called a doctor and the local police, and soon enough the medics, along with Sylacauga Chief of Police W. D. Ashcraft and the town’s mayor, Ed Howard, were on their doorstep. Ann was examined thoroughly by physician Moody Jacobs, who assured her family that Ann, although severely bruised and swollen, was well and without severe injuries. He did however admit her to the local hospital a few days later so she could get some respite from the overwhelming attention. 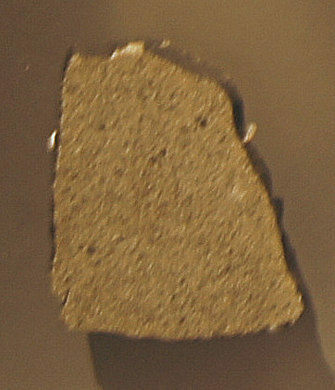 Suspecting it was a meteorite, Howard and Ashcraft took the rock to local geologist George Swindel, who tentatively confirmed it. Later that day, the local authorities handed the meteorite over the U.S. Air Force for analysis. Word of the unusual event quickly spread and the Hodges’ property was overrun by curious onlookers and prying reporters who sensed a good story. Reporters from every television, radio, and newspaper seemingly wanted the story about the first person to survive being struck by a meteorite. Excited and overwhelmed by the attention, the Hodges were more than happy to speak about it at first. But there was no privacy, there was no peace and quiet. The phone was ringing constantly. And then there was the rock from outer space. However, the stone was not in her possession and the house they lived in was not theirs. She and her husband were tenants to Birdie Guy, a recently widowed lady who claimed property ownership over the now much talked about stone. She wanted it for herself and be the center of the Alabama media craze. This was the big thing at the time. And she wanted in. But where was the rock from outer space? Neither Ann nor her landlady had it in their possession. U.S. Air Force Intelligence had sent it to the Smithsonian Institution for further examination and deeper analysis. They believed it was supposed to stay there and be examined for an unlimited time, until Alabama Congressman Kenneth Roberts got involved and ordered them to return it to the Hodges’. The public was by now already on Ann’s side, yet the law was not. Their landlady hired a lawyer and sued them for ownership, insisting the space-rock was hers, since it dropped on her property. Ann and her husband hired their own lawyer and threatened to counter-sue for injuries. It was a real mess. Their yard was constantly filled with reporters, while their home still had a hole in the roof. Guy claimed that if she was obliged to fix it, she should then rightfully own the stone as well. Ann was virtually everywhere in the media. In Life magazine, she was talking about her experience. In New York, on Gary Moore’s TV quiz show, I’ve Got a Secret, she was there to reveal her secrets. She was the front cover story in almost every major magazine. In the end, both parties decided to settle the matter out of court. The Hodges family bought out the rights for $500, believing they could make a huge profit. After all, their neighbor did. Julius Kempis McKinney, who found a little piece of the rock not far from their house along the road, had bought a new house and a car out of what he made from it. Unfortunately, two years had passed and the story was fully covered by now. Public interest had waned and the media was on to the next big thing. They refused the first offer to buy the meteorite, from the Smithsonian Institution, because they saw the offer as inadequate and insulting. However, it was the only party who showed any interest. No one offered to buy the stone again. Exhausted from everything and disappointed, Ann donated the meteorite to the Alabama Museum of Natural History, believing the fallen rock was a bad omen that had brought nothing but distress and bad luck in their lives. Some think Ann and her husband were not equipped enough to deal with the publicity, others that they didn’t use their fame to bargain with the media while it lasted. What’s for sure is that they earned almost nothing out of it, and while her wounds healed and the craze was all gone, the experience of what they had been through stayed with them for life. Unable to cope with the aftermath emotionally, the couple split in 1964 after Ann had suffered a massive nervous breakdown. 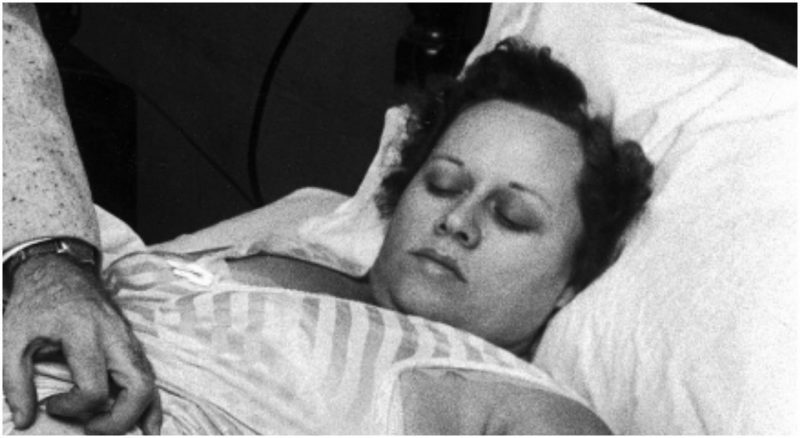 With her health deteriorating and in a fragile mental state, she found herself in a nursing home, where she died alone from kidney failure in 1972. 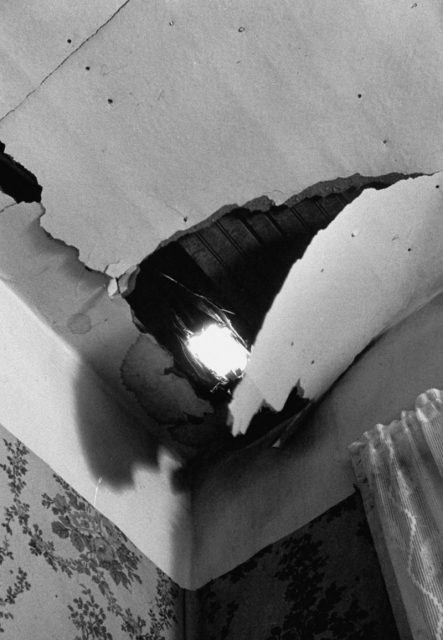 To this day, Ann Hodges is the only recorded victim of a meteor strike who has lived to tell the tale.